We live in a day and age in which optimizing performance, recovery, and results are integral to every meal we eat and supplement we consume. We don't just consume post-workout protein and call it a day...we've learned from science that taking separate, free -form amino acids can give you an extra edge to take your progress to the next level. Amino IV: A BCAA product with added benefits to taking it beyond just another BCAA. You spend all the time and money working hard and eating right...why sell yourself short on your essential supplements? High Leucine Content - 5 Grams per Serving! 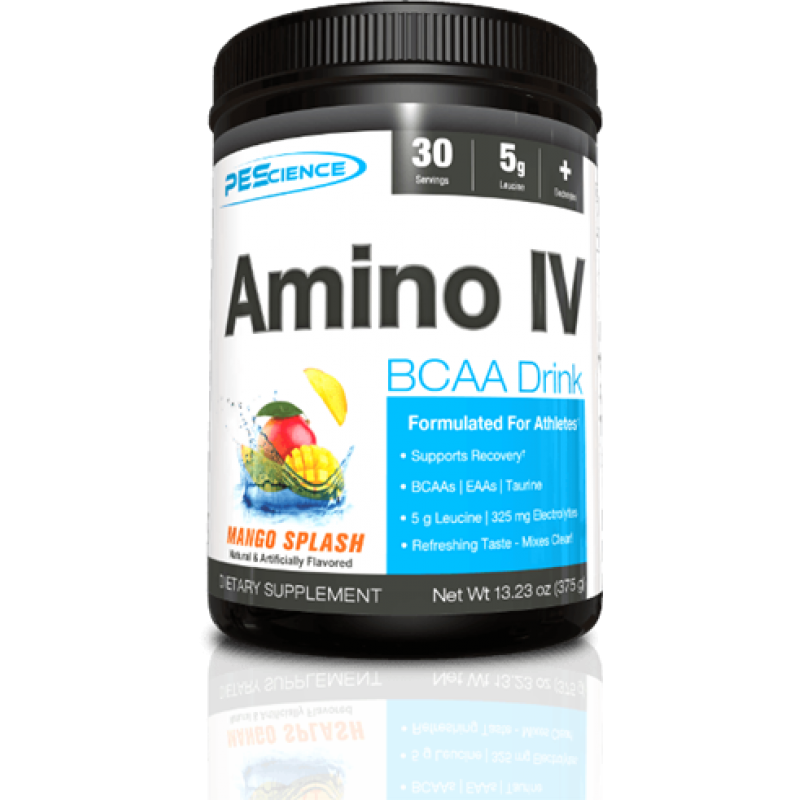 PES don't mess around with Amino IV -- 5 grams of leucine per serving, and 30 servings per bottle makes Amino IV a cost effective leucine source, before they even get into the perks of the rest of the formula! What is every amino product built off these days? Branched chain amino acids (BCAAs). BCAAs are key ingredients to consume no matter what type of athlete you are: Bodybuilding, powerlifting, long distance runner, or sprinter. If you work your muscles...BCAAs should be a go-to supplement. Your body starts by making muscle protein to build muscle. 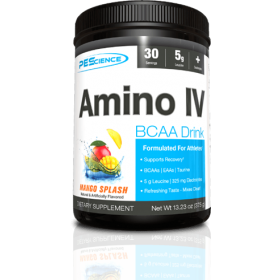 It incorporates the BCAAs into the growing protein chains, and then your genetic code calls for an essential amino acid. So what happens if you don't have EAAs present? The new protein is terminated. You simply do not benefit. Your body breaks down a pre-existing muscle protein (known as “catabolism”) in order to get the missing amino acid. The net effect is loss of muscle. If you are an “amino-holic” than you have probably come across advertisements and claims about what the best “BCAA ratio” is. Some companies claim a 2:1:1 ratio is the best because they say it's the only research backed ratio. We are here to tell you that is simply not true. In fact, one of the most recent and powerful studies, an independent study by the US Department of Defense, was done on a blend of EAAs. 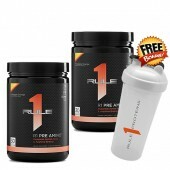 One consisted of a 2:1:1 ratio of BCAAs in the blend, and the other, a leucine-enriched blend that had a ratio of 4:1:1. If you are a hard-working, sweating, and fatigued athlete then you are probably more than familiar with those sugary sports drinks with electrolytes. But now you are more educated than the days of when you would down those by the bottle. Now you avoid them because of the high amount of table sugar in every serving...but the downside is you have a tough time getting the electrolytes you need. To continue to versatility of Amino IV, we have added electrolytes and taurine to every serving. Consider Amino IV your guilt free sports drink with muscle in mind. 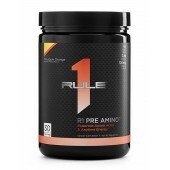 Directions For Amino IV: Mix 2 level scoops in 12-20 ounces of water. Adjust the amount of water to achieve desired taste. Drink during workouts or athletic events. Additional servings can be taken throughout the day on training and non-training days. For best results consume at least 2 level scoops per day.